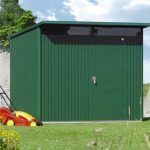 This 6.5 x 6.7 metal garden shed is a true delight and has plenty of possibilities attached to it. 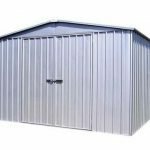 Hot dipped galvanised steel runs throughout the building, so you have the ultimate in rust protection. 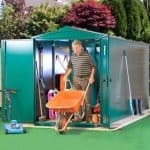 This also brings lots of durability to the building. 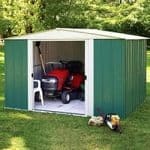 High eaves allow for plenty of headroom and also plenty of storage space for taller items. 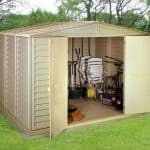 There is also an anchor kit included with the shed, and an anti-rust guarantee that lasts for 10 years. The building benefits from being rot and rodent proof.